What Does Your NPR Smell Like? 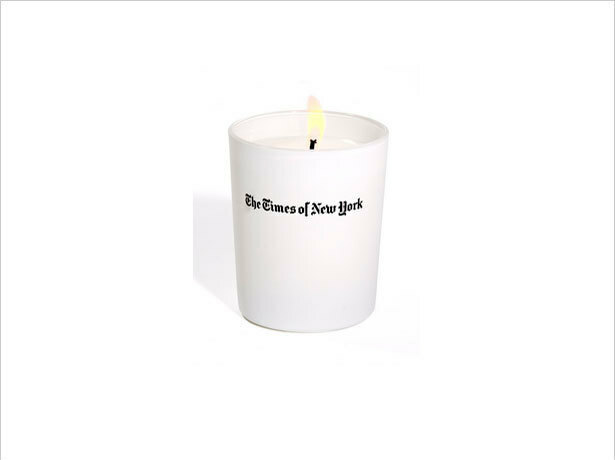 : Blog Of The Nation Inspired by the aroma of his beloved New York Times, the late artist Tobias Wong left behind plans for a fragrance inspired by its olfactory combo of newsprint and black ink. Some friends help his dream become a reality: a candle, "The Times Of New York." What Does Your NPR Smell Like? Tobias Wong, an artist and designer who died just over a year ago, left behind a final project that's charming and puzzling folks across the Internet. Inspired by the aroma of his beloved New York Times, Wong left behind plans for a fragrance inspired by its olfactory combo of newsprint and black ink. Some friends helped his dream become a reality, and have just released a candle called "The Times Of New York." So if you've cast aside the physical paper in favor of the digital version, you can potentially restore a little of the Gray Lady's particular perfume to your Sunday morning ritual. That said, to me it begs the question: What goes into your eau de NPR? I was unemployed for a few long months one winter. In those days I listened to a lot of WAMU while drinking tea (cheaper than picking up a newspaper and going out for coffee), so to this day the sound of Diane Rehm's theme song always smells like Darjeeling to me. So what does your NPR smell like?